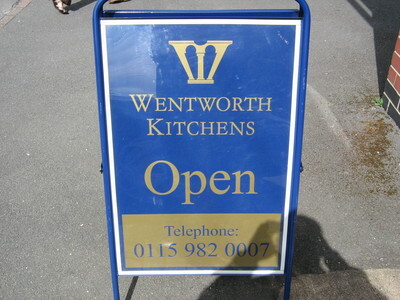 We have over 20 years of experience in supplying and fitting kitchens in the Nottinghamshire area. With an extensive range of units available, Wentworth allows you to make the most of the space in your kitchen and is designed and built to last using only the very highest quality materials. Pete, just to say thanks so much for your help in our new kitchen. We really appreciated your advice and can&rsquo;t fault any aspect of your service. The workman & fitters were great, and made a stressful time manageable. We love the kitchen. Thank you so much for the lovely flowers you sent. What a delightful surprise. We are very pleased with the new kitchen and will take pleasure in using it. I wanted to thank all the staff who have been into our home and worked so hard. Gary made a great job of plastering the old pantry. Martin fitted the kitchen so well. Each of them were so very helpful, nothing was too much trouble and I thank them for that. Mathew made a great job of laying the floor, and I thank him for repeatedly coming back to lay our carpets. Glenis has put the finishing touches to the kitchen, the decorating is superb.